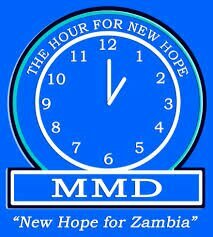 POLITICAL parties participating in the August 11 general election are freely campaigning without any form of violence in Western Province, says MMD aspiring candidate for Mongu Central Kamwengo Kamuti. He said all political parties had engaged into dialogue as means of bringing peace in the region, saying no form of violence had been recorded so far. Mr Kamuti said MMD like any other political party was doing fine and that its members were still strong and able to mobilise the party where it was failing, hence managed to file in its candidates. Mr Kamuti said no form of violence could bring any development in the country, but dialogue was key for any democratic nation. He commended the church in Mongu for taking part in unifying all the political players who were participating in the elections in August. “So far all the candidates from various political parties are meeting with the church to dialogue on various issues of interest, which is encouraging because all the parties are engaged,” he said. Mr Kamuti reminded those who wanted to use violence as means of winning an election to desist from such vices and let the will of the people prevail. He said that MMD was still strong in Western Province despite its current status, saying being the party that had brought democracy in the country it would not tolerate parties who wanted to take away peace from people. “Let development talk and not fighting which will never bring any food on the table. It is a peaceful Zambia we want and as political players here in Mongu, we have no problem because we have given each other time to send our messages to the electorate without any form of violence,” he said. Mr Kamuti said that the party was busy mobilising in readiness for the polls, adding that it was determined to carry the day.